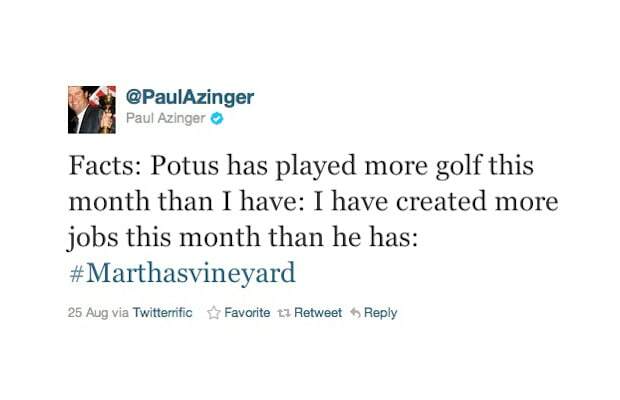 Tweet: “Facts: Potus has played more golf this month than I have: I have created more jobs this month than he has: #Marthasvineyard"
Description: ESPN golf analyst and 12-time PGA Tour winer Paul Azinger used Twitter to spit ether at President Barack Obama, claiming that he created more jobs and played less golf than the pres that month. The network reminded him that the company’s updated social network policy didn’t allow political commentary. Jackass.